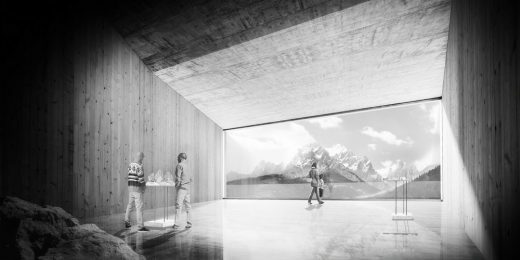 Three edgy structures provide the new iconic entrance to the UNESCO World Heritage Site of the Dolomites. Fanning out along the southern edge of the square, the three volumes frame the square space and, together with the existing buildings (congress center, skiing school, tourist information, and cable railways), add to the new alpine sports center and also make for a public meeting point which, in the future, will be open to tourists and, even more so, to the people of Sexten/Sesto as a festival and village square. 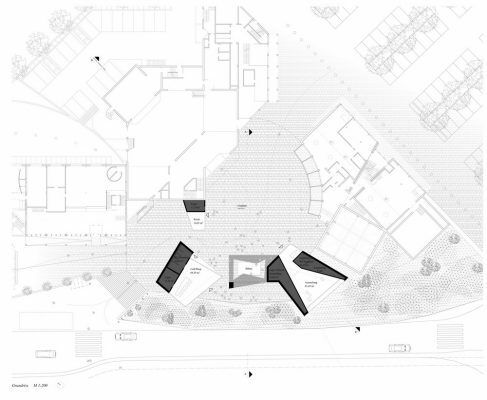 Each of the building “blocks” on the square accommodates one type of use and takes on specific functions; together, the group of built related volumes connects the overall layout into a sculptural ensemble. The monolithic free-standing structures get their clear-cut shapes from the vectors of visual axes, site boundaries, given heights and distances. 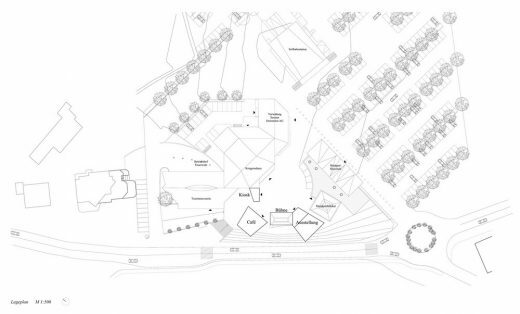 The first building over a ground plan that opens like a funnel toward the square houses a café and service rooms. Underneath the central, vertically towering megalith, a covered area is created that is usable for multiple purposes and can also be engaged by neighboring programs. For events, the space can be used as an open-air stage. With the tower-like building appearing as if suspended in the air, a visual connection between the festival square and the street space is established, which makes festivals and events visible and experienceable also from the street side. The third, again horizontal structure unfolds a generous exhibition space, which opens toward the mountain panorama on the inside in a trapezoid-shape across the full width of the room. The central exhibit therefore is the view of the famous “Sesto Sundial” which enables telling the time from how the sun stands in relation to a range of Dolomite mountain peaks. 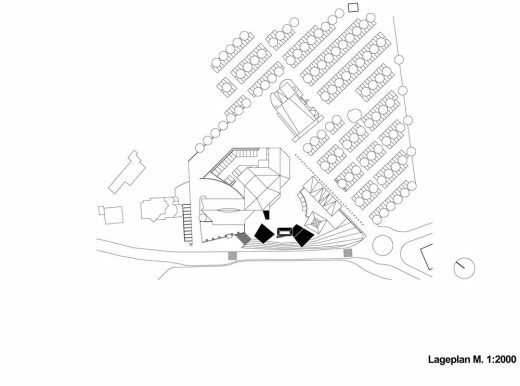 AllesWirdGut propose a choice of materials for the new building focusing on naturalness, robustness, and aging quality. A mineral cladding—concrete or stone—is proposed for the exterior facades, while interiors should be given a cozy and warm wooden shell. Sexten (Italian: Sesto) is a comune in South Tyrol in northern Italy, famous as a summer and winter sport resort in the mountains.